Love Gooey Butter Cake? Try this Nieman Marcus cake with cream cheese frosting for a nice change. Thanks to Sydni for sharing this recipe. If you are a fan of the gooey butter cake, you will enjoy this recipe. This style of cake uses a cake mix, a couple of eggs, and melted butter, this is mixed together, and baked. The cake will form a delicate crust that may brown. This recipe is unlike some of the others, this one features a light cream cheese frosting to top this classic cake recipe. If you are a novice to cake baking this is a simple cake to prepare. For this recipe I really like to use the Duncan Hines Butter Recipe cake mix. I like the flavor of this cake. In reality you could use any cake mix that you desire, but in my experience this is the one that my company enjoys the most. Dump Cake – This recipe features canned cherries, canned pineapple and nuts. This Nieman Marcus Cake is basically a buttercake recipe. Preheat oven to 350 degrees. Mix together butter, eggs, and cake mix in a medium-sized bowl. Press into a greased 9x13 inch baking pan. Bake at 350 degrees for 30 to 35 minutes or until the top is lightly browned. Remove cake from oven, allow to cool. Prepare the frosting by mixing together the cream cheese and powdered sugar in a medium-sized bowl. Beat until smooth and creamy with a mixer. Spread frosting on the cake. Thank you for your wise tips in this recipe. I will try to use all of your advice going forward. 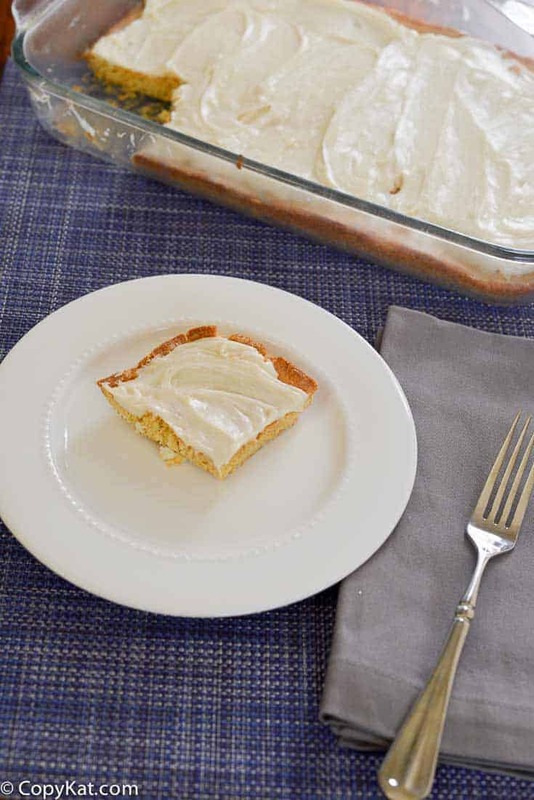 this delicious cake is also well known as the texas butter cake,or as my family calls it the yum yum cake…. by either name it is very delicious……. Do you ice it with the Cream cheese and Powdered suger or do you bake the cake with that in it?. The recipe didn’t say.